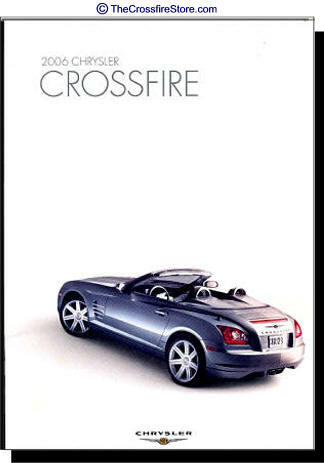 Official 2007-08 Chrysler Crossfire Sales Book, 8 full color pages. 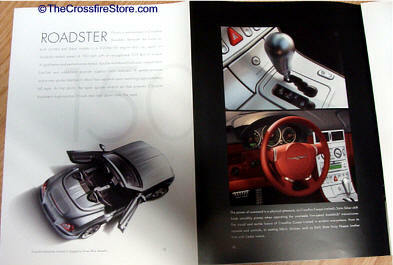 Features, illustrations, specifications, color paint options, details, and more. Measures approx. - 7.75 x 11.0 inches. 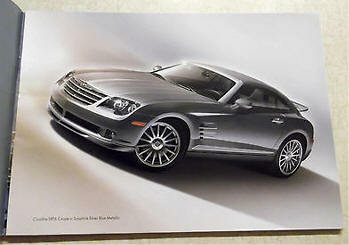 Official 2006 Chrysler Crossfire Sales Book, 32 full color pages. Measures approx. - 8.5 x 11.5 inches. See more example pages Click Here! 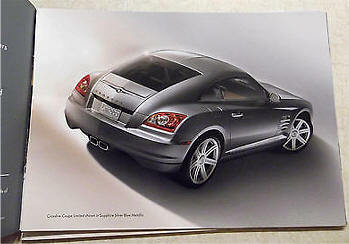 Official 2005 Chrysler Crossfire Sales Book, 26 full color pages. Measures approx. - 9.0 x 12.75 inches. 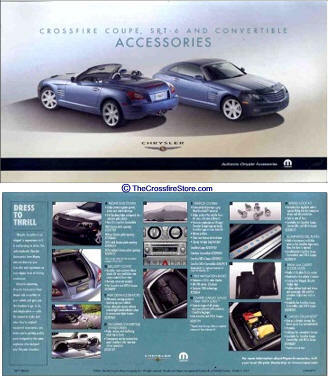 Original 2004 sales brochure and CD for Chrysler Crossfire. 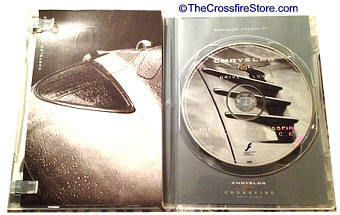 These were distributed when the Crossfire first came out. 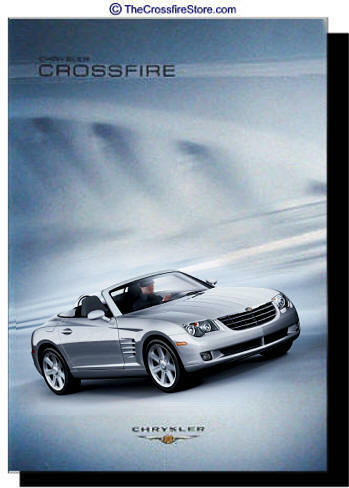 Included is a 20-page brochure with foldout pages, plus a CD titles "The Chrysler Crossfire Experience". Measures approx. - 5.0 x 7.50 inches. 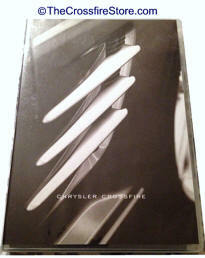 Official Chrysler factory Accessories Brochure. 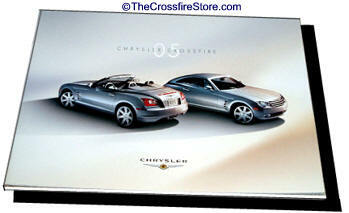 Full color two sided. 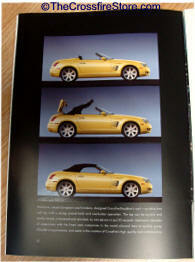 7.5 x 13 , printed both sides Very RARE only a 2 Left!